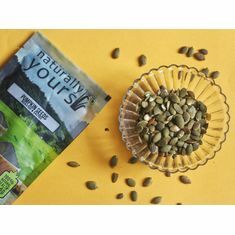 Best of all, because pumpkin seeds are highly portable and require no refrigeration, they make an excellent snack to keep with you whenever you’re on the go, or they can be used as a quick anytime snack at home, too. One-quarter cup of pumpkin seeds contains nearly half of the recommended daily amount of magnesium, which participates in a wide range of vitally important physiological functions, including the creation of ATP (adenosine triphosphate, the energy molecules of your body), the synthesis of RNA and DNA, the pumping of your heart, proper bone and tooth formation, relaxation of your blood vessels, and proper bowel function.Magnesium has been shown to benefit your blood pressure and help prevent sudden cardiac arrest, heart attack, and stroke, yet an estimated 80 percent of Americans are deficient in this important mineral. Pumpkin seeds are a rich source of zinc (one ounce contains more than 2 mg of this beneficial mineral). Zinc is important to your body in many ways, including immunity, cell growth and division, sleep, mood, your senses of taste and smell, eye and skin health, insulin regulation, and male sexual function.Many are deficient in zinc due to mineral-depleted soils, drug effects, plant-based diets, and other diets high in grain. This deficiency is associated with increased colds and flu, chronic fatigue, depression, acne, low birth weight babies, learning problems and poor school performance in children, among others. 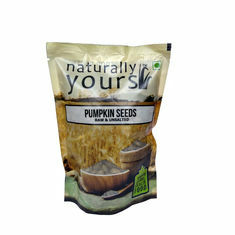 If you’re in the mood for a chewy snack that doubles as a phenomenal health food, look no further than pumpkin seeds. With a wide variety of nutrients ranging from magnesium and manganese to copper, protein and zinc, pumpkin seeds are nutritional powerhouses wrapped up in a very small package. 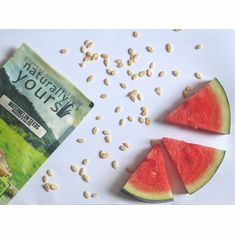 They also contain plant compounds known as phytosterols and free-radical scavenging antioxidants, which can give your health an added boost. 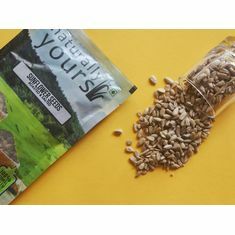 Best of all, because pumpkin seeds are highly portable and require no refrigeration, they make an excellent snack to keep with you whenever you’re on the go, or they can be used as a quick anytime snack at home, too. 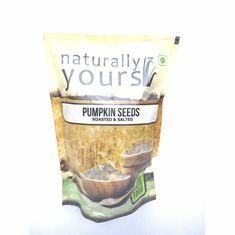 How to use Great for a healthy snack Ingredients Pumpkin seeds, Rock salt Top Health Benefits of Pumpkin Seeds 1. Heart Healthy Magnesium One-quarter cup of pumpkin seeds contains nearly half of the recommended daily amount of magnesium, which participates in a wide range of vitally important physiological functions, including the creation of ATP (adenosine triphosphate, the energy molecules of your body), the synthesis of RNA and DNA, the pumping of your heart, proper bone and tooth formation, relaxation of your blood vessels, and proper bowel function.Magnesium has been shown to benefit your blood pressure and help prevent sudden cardiac arrest, heart attack, and stroke, yet an estimated 80 percent of Americans are deficient in this important mineral. 2. Zinc for Immune Support Pumpkin seeds are a rich source of zinc (one ounce contains more than 2 mg of this beneficial mineral). Zinc is important to your body in many ways, including immunity, cell growth and division, sleep, mood, your senses of taste and smell, eye and skin health, insulin regulation, and male sexual function.Many are deficient in zinc due to mineral-depleted soils, drug effects, plant-based diets, and other diets high in grain. This deficiency is associated with increased colds and flu, chronic fatigue, depression, acne, low birth weight babies, learning problems and poor school performance in children, among others. 3. Plant-Based Omega-3 Fats Raw nuts and seeds, including pumpkin seeds, are one of the best sources of plant-based omega-3s (alpha-linolenic acid or ALA). We all need ALA, however, ALA has to be converted by your body into the far more essential omega-3 fats EPA and DHA -- by an enzyme in which the vast majority of us have impaired by high insulin levels. So, while pumpkin seeds are an excellent source of ALA, I believe it is essential to get some of your omega-3 fats from animal sources, such as krill oil, as well. 4. Prostate Health Pumpkin seeds have long been valued as an important natural food for men’s health. This is in part because of their high zinc content, which is important for prostate health (where it is found in the highest concentrations in the body), and also because pumpkin seed extracts and oils may play a role in treating benign prostatic hyperplasia (BPH, or enlarged prostate). Research suggests that both pumpkin seed oil and pumpkin seeds2 may be particularly beneficial in supporting prostate health. 5. Anti-Diabetic Effects Animal studies suggest that pumpkin seeds may help improve insulin regulation and help prevent diabetic complications by decreasing oxidative stress. 6. Benefits for Postmenopausal Women Pumpkin seed oil is rich in natural phytoestrogens and studies suggest it may lead to a significant increase in good “HDL” cholesterol along with decreases in blood pressure, hot flashes, headaches, joint pains and other menopausal symptoms in postmenopausal women. 7. 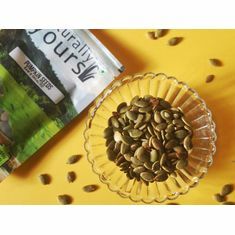 Heart and Liver Health Pumpkin seeds, rich in healthy fats, antioxidants and fibers, may provide benefits for heart and liver health, particularly when mixed with flax seeds. 8. Tryptophan for Restful Sleep Pumpkin seeds are a rich source of tryptophan, an amino acid (protein building block) that your body converts into serotonin, which in turn is converted into melatonin, the “sleep hormone.” Eating pumpkin seeds a few hours before bed, along with a carbohydrate like a small piece of fruit, may be especially beneficial for providing your body the tryptophan needed for your melatonin and serotonin production to help promote a restful night’s sleep. 9. Anti-Inflammatory Benefits Pumpkin seed oil has been found to exhibit anti-inflammatory effects. One animal study even found it worked as well as the anti-inflammatory drug indomethacin in treating arthritis, but without the side effects.